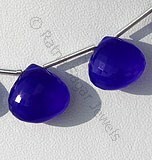 Blue Chalcedony is a demure crystal, subtle and mystic, cool and serene, ethereal yet solid. It has an inviting, soft blue translucence, and an almost imperceptible movement within the stone that invokes a stillness of silent reverence. It is a stone that is calming and speaks of spirit and trust. 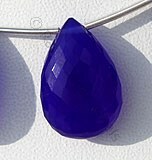 The name of Chalcedony is derived from Greek word Chalkedon. 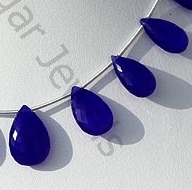 The history of this gemstone dates back to ancient times when it was used for making seals and amulets. 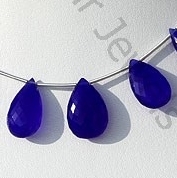 The color of gemstone varies from milky white to light grey. 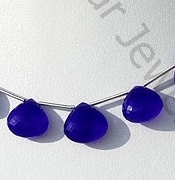 The configuration of Chalcedony is referred as cryptocrystalline which states that its crystalline configuration cannot be witnessed by open eye as the result of which this gemstone is extracted into small pieces and seen through microscope. 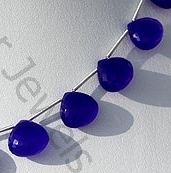 Chalcedony Gemstone beads named as dyed Chalcedony have to undergo coloring process for the period of two months to give it fascinating looks. 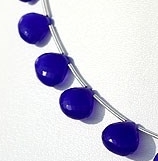 Dyed Sea Blue Chalcedony is said to explore stamina, responsibility, feeling of friendship and fraternity, kindness and control on emotions. 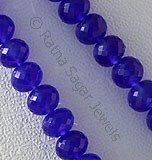 This is the kind of gemstone that each woman would love to keep in your jewelry wardrobe. 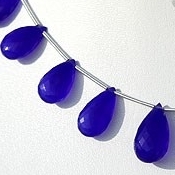 Ratna Sagar Jewels makes sure that you are among all those beautiful women who are the proud owners of dyed sea blue chalcedony gemstone beads. For more information about the gemstone or to make your order for them, log on to the online store of Ratna Sagar Jewels. 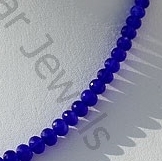 Chalcedony Gemstone is a Cryptocrystalline composed of minerals quartz, which is heated and dyed to gives navy-blue color, possess property of semi-transparent and are available in micro flower cut, Flat Pear Shape. 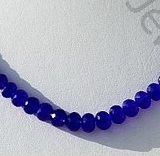 Chalcedony Gemstone is a Cryptocrystalline composed of minerals quartz, which is heated and dyed to gives navy-blue color, possess property of semi-transparent and are available in micro cut, Rondelle Shape.